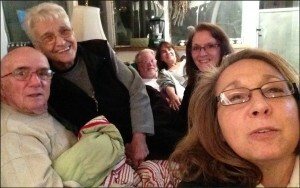 We spent Thanksgiving with my sisters and parents. This is our official Thanksgiving selfie. 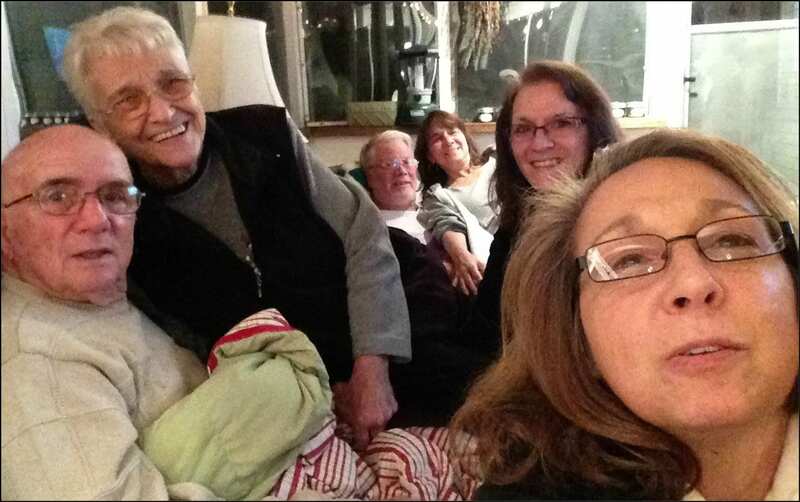 We had to explain to my dad what a selfie was. It took a while to explain because we started laughing when we tried to. a holiday, or any day. 2. I am grateful my parents are healthy and that this Thanksgiving was less dramatic than last year when my dad was discharged from the hospital. 3. I am grateful for my sisters, because they crack me up. I think there are things only siblings can say and get away with it. If anyone else did, it might be insulting. But when they say it, it’s funny. 4. I am grateful for my husband, always. 5. I am grateful for you, the readers of my blog. I love hearing how reading my blog has focused more people to stop and be grateful.